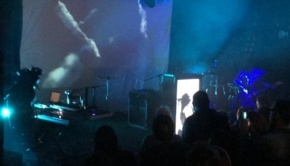 The Brighton post rock duo, famed for their immersive, all engulfing live performances, are releasing a new documentary film and soundtrack this month, the project supported by a hugely successful crowd funding campaign. They set out to create a film which explores the kindness of humanity and what drives people, offering the listener a different outlook on human nature, contrary to the bleak one projected by the media. This is an album that is cinematic in scale, moody, atmospheric and full of melody which helps to create a feel good vibe. 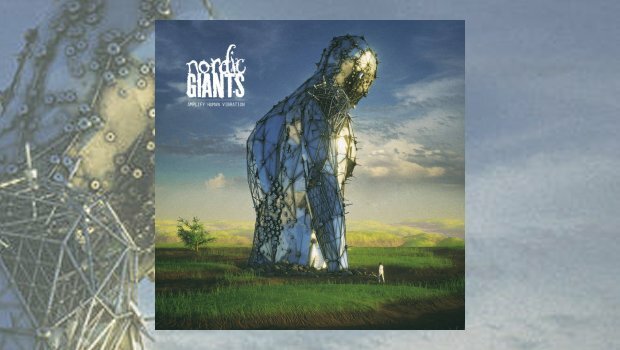 The grand sweeping nature, plus the little subtleties draws you in where you become immersed in what the band are trying to get across. The music wraps and folds around spoken word segments, mainly from well known figures. Initially this could appear off putting, but it works so well with the music empowering and enhancing the words. 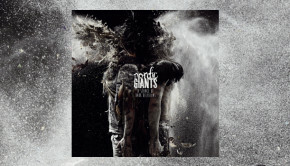 It could be viewed as a bold move to issue what is a soundtrack album before the accompanying film has been released, but in the case of Nordic Giants this will probably serve as an appetiser for what will, no doubt, be a spectacular stage show on their forthcoming tour. There are seven tracks spread across some forty-three minutes, of which two tracks are instrumental and the rest, as mentioned previously, have additional spoken word. The album opens with Taxonomy of Illusion which is named after and includes the speech given by Terence McKenna at the University of California at Berkley in 1993. The mood is set by some subtle atmospheric keyboards before Roka’s excellent drumming starts to drive things forward, accompanied by the piano. The music continues to fold around Terence’s words in such a way that they almost become one, the overall feel appearing to be one of hope. The first of the two instrumentals is next, First Light of Dawn having a brief drone-like start which turns into a beautiful moody and uplifting song. Piano features again with Loki playing some wonderful trumpet. The song builds and expands allowing the listener to easily imagine the sun rise, with its rays illuminating the landscape where at that moment the day begins full of hope and promise. Spirit contains the words of Martin Luther King Jr., the mood and atmosphere created by some lovely bowed guitar and piano, which continues the melody, providing a bright and positive feel. The music pauses briefly as the words “a new spirit is rising amongst us”, before continuing, each meaningful phrase spoken is clear and precise throughout. Dystopia follows, continuing to develop bright and hopeful themes in the music, with Reawake featuring the beautiful and ethereal vocals of Freyja which float around the music in a most mesmerising way, not detracting from the spoken words but enhancing them. The penultimate track, Immortal Elements, contains the voice of the poet John Trudell, his opening lines are treated to some echo until the introduction of the instruments. Roka’s drums are excellent again, driving the song with the support of the almost gentle keyboards, the music becoming cinematic and dramatic as it moves towards a climatic finish. The album closes with the second instrumental track; Autonomous begins with the spiritual feel of a church-like organ, the music creating an almost emotional response in its beauty. At around two minutes from the end things take a shift towards being more dramatic in scale, building towards a crescendo finish that sweeps the listener up into its musical vortex. Ultimately this is a soundtrack album, but it is able to stand on its own as a complete piece of work, a testament to the band’s song writing skill in that they have created the perfect match of music to some very powerful and thought provoking speeches. This is an album that will have an individual and personal affect on each listener, an album that needs repeated plays to digest and process what has been achieved and its meaning to the individual. A hauntingly beautiful and thought provoking album which is a true work of art. Don’t just take my word for it, experience it for yourself as the U.K. tour starts on 31st October.